India rested Mohammed Shami and brought in fellow pacer Shardul Thakur who is making his Test debut. HYDERABAD: West Indies won the toss and opted to bat in the second and final Test against India here on Friday. West Indies made two changes as they left out Keemo Paul and Sherman Lewis. Jomel Warrican and captain Jason Holder, who returned after missing out of the first Test, replaced them. India are leading 1-0 in the series after wining the first Test at Rajkot. 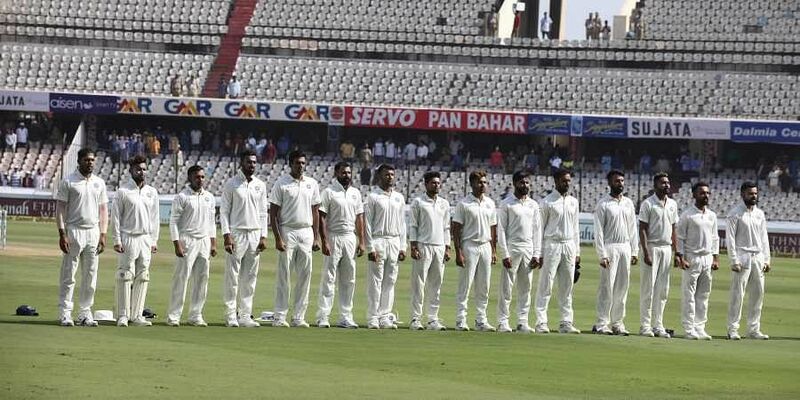 The Teams: India: Virat Kohli (captain), Prithvi Shaw, Lokesh Rahul, Cheteshwar Pujara, Ajinkya Rahane, Rishabh Pant (wk), Ravindra Jadeja, Ravichandran Ashwin, Kuldeep Yadav, Umesh Yadav, Shardul Thakur. West Indies: Jason Holder (captain), Kraigg Brathwaite, Kieran Powell, Shai Hope, Shimron Hetmyer, Sunil Ambris, Roston Chase, Shane Dowrich (wk), Devendra Bishoo, Jomel Warrican, Shannon Gabriel.